If you press the WinKey +w, and then type ‘index’, you will see the ‘Indexing Options’ icon in the results column to the left. Alternatively, you could start typing ‘I n d’ at the Metro Interface. Which folders do you want to index? Your document library locations are usually indexed by default. However, if you store data files at other locations then I would click on the ‘Modify’ button and tweak the Windows 8 Indexer’s to-do list. An alternative strategy is to add more locations to your ‘Libraries’, my reasoning is that your library locations are indexed by default. If you like this tip then right-click a folder of text files and ‘Include in Library’ –> Documents. Which folders don’t you need to index? The key principle is don’t mindlessly select ‘Index all files’, because this really will put an unnecessary burden on the CPU; instead actively choose folders that you regularly search. For instance, I would not bother to include the Window system files, but I would index a local copy of my website. 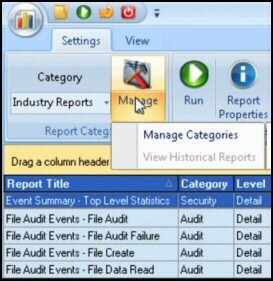 Decide if there is benefit in excluding files, for example temporary files. While there is no ‘Exclude’ button, you can just expand a folder and remove the tick next to the unneeded sub-folder. Tip: If the Windows 8 Indexer / Search hangs, then exclude folders containing downloads, video or any files that are in-use, or could be temporarily corrupted. Tip: Click on the Advanced tab, then File Types, now decide how to index text-rich types such as .doc. 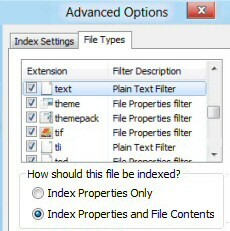 Your options are Index Properties Only, or additionally, index the file contents. Take a look at Windows 8 Libraries. Index Tactics – Another Drive? Once again seek the Advanced button from the front page of the Window 8 Indexing Options, but this time stay on the Index Settings tab, to change the position of the index file itself, now click on ‘New Location’. This tactic works best if you have the luxury of a second disk. To answer the question: ‘Is indexing slowing down this computer’, my best advice is analyze your Windows 8 index process with the Task Manager. CPU Performance. Firstly check to see if the resource usage is acceptable. If the machine is running slowly too many people just mindlessly follow the advice to disable indexing. 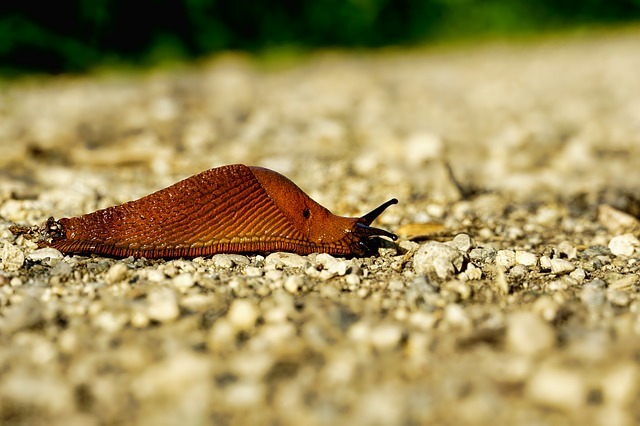 But I say, ‘What if the computer still runs slowly even if you disable the Windows Search service?’ Why not go back and turn-on indexing so that you reap the benefits, meanwhile chase down the real culprit that’s causing the performance degradation. You can launch the Windows 8 Task Manager with this keyboard sequence: Ctrl +Shift +Esc. Guy’s naming rant. 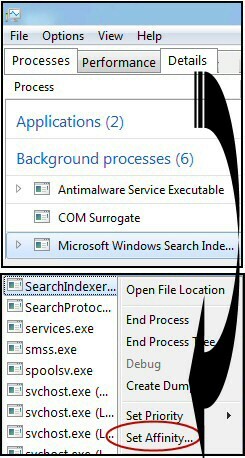 Under the Process tab, you see that the name is ‘Microsoft Windows Search Indexer’, but if you switch to the Details tab, the same process is now called ‘SearchIndexer’. Microsoft, why do you try to confuse me? Anyway, the key counter is CPU, if this consistently above 40% then agree with the rest of the experts, disable the index service and improve performance. However, the figure is low, then I would tweak Windows 8 Indexing Options to speed up my file searching. Advanced Technique – Set Affinity. This is a high risk, high reward strategy. 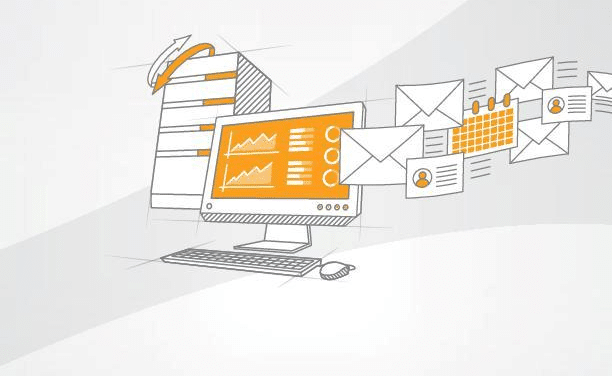 The more logical processors you have, then the better your chance that this performance tip will be effective. The risk is that Set Affinity may make your machine run slower. Orientation: Open Task Manager, select the Details tab, right-click SearchIndexer, Set Affinity and choose one or more processors. It may have already occurred to you that even if this tip is not suitable for the SearchIndexer it may be worthwhile for other Windows processes. 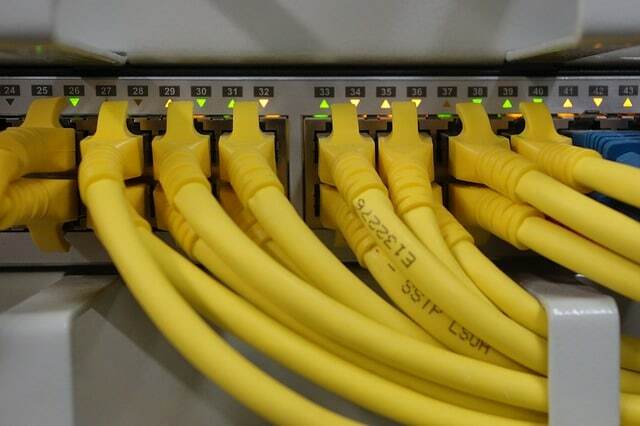 Indexing Service For Troubleshooting. Whenever you need the Windows Services remember this is a Setting and not an App; thus start by pressing WinKey +w, only then type s e r v i c e. Once your services.msc launches, scroll down to ‘W’ for ‘Windows Search’. Now that you have found the underlying service, you can troubleshoot by restarting Windows Search service. Notice in passing how its description reads: "Provides content indexing, property caching, and search results for files, e-mail, and other content". 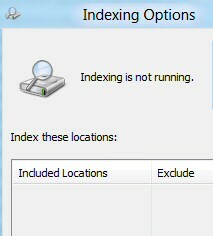 You could look at this from another perspective, if indexing is not running, then start the Windows Search service. Another naming rant, why could it not be called Microsoft Windows Search Index as seen in the Task Manager? My hidden agenda here is to remind myself, and you, that under the covers Indexing Options has different names. The Windows 8 Experience Index (WEI) This is a completely different feature from Indexing Options, WEI tells you which component is the weak link in your hardware specification. The whole point of indexing is to speed up file searches, especially if you want a list files matching a particular word or phrase. Here is the front-end as supplied by the Windows 8 Explorer Ribbon. Once you launch the Windows Explorer click on ‘Search Libraries’ and note how the context-sensitive menu changes to ‘Search Tools’ (see above). To refine your search click on the above sub-menus, ‘Kind’, ‘Size’ or ‘Date Modified’. See more on Windows 8 File Search. Talking of Windows Explorer Ribbon, from the file option, you can also ‘Change folder and search options’. See screenshot to the left. 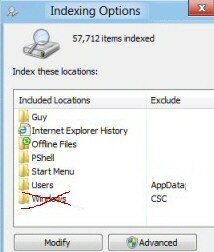 What this offers in addition to tweaking the search locations, is the ability to show hidden files, folders and drives. You may also wish to investigate Windows 8’s Search. This has its own dialog box where you can select Apps, Settings or Files. 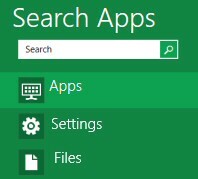 See more about Windows 8 Search. Indexing is one of the most misunderstood processes in Windows 8; therefore, it’s worth taking the time to check the folder options, and also decide whether you need to index just the properties, or additionally, the words in the files.